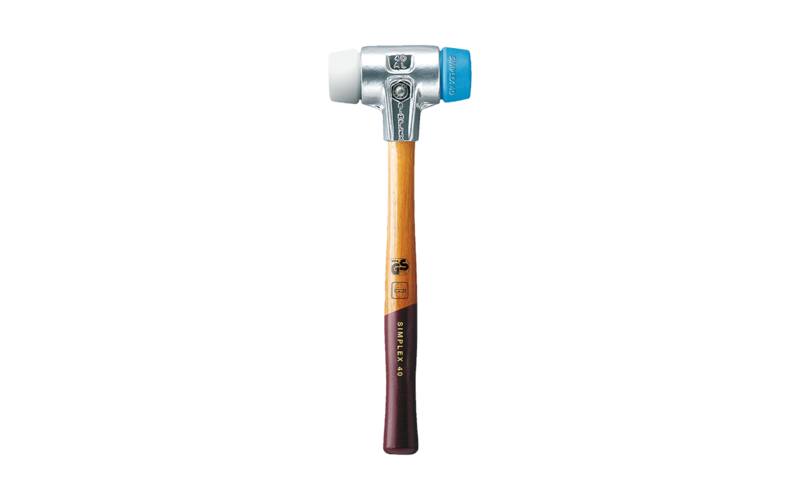 The series „Simplex soft-faced hammer series EH“ by HALDER comprises of hammers with a high-quality handle made of robinia. These are very robust and partly feature abrasion-free inserts. Made of a highly elastic malleable cast iron casing and thus non-breakable. With a screw, handle, the casing halfs and the inserts are tightened. The manufacturer has also paid attention to a coloured tuning of handle and casing. For different usage, suitable inserts are available. Used inserts can be exchanged without buying a completely new hammer.